Fashion is big business. It plays a major role in the global economy, with annual worldwide revenues of well over £1 trillion. The industry supports hundreds of millions of jobs around the world, accounting for over a third of total employment in some of the most important producing countries. Unfortunately, all this success comes at a high environmental cost. For those in and around the industry, garment waste has long been rumored to be the next big scandal. Globally, levels of production and consumption are forecast to increase as fashion waste becomes an environmental crisis to rival plastic pollution in oceans. This is a tale of over-production and supply, powered by the relentless “fast fashion” system of production that over the past three decades has revolutionized both the way we dress, and the way clothing is produced – and not often for the better. With an understanding that the fashion industry is a main culprit in environmental damage, fashion brands are coming up with different ways to change the narrative towards sustainable fashion. GUESS has partnered with Kloth Cares, to launch a wardrobe recycling program in Klang Valley beginning Friday, March 1st, 2019 to Tuesday, April 30th, 2019. Kloth Cares is an extension of Kloth's brand that represents movement for textile recycling in Malaysia. Themed "Keeping Fabrics Out of the Landfills", Kloth is in partnership with Selangor Youth Community (SAY) and Life Line Clothing Malaysia (LLCM) to materialize this advocacy. GUESS’ recycling program RESOURCED initially launched in California on June 18, 2018 and due to its success, will now expand US-wide and globally by 2020. 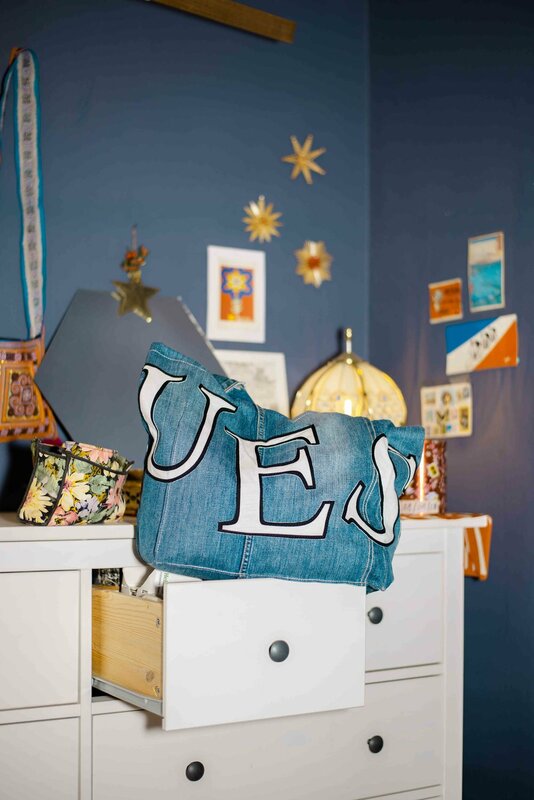 Backed by an in-store, digital and online marketing campaign and as part of the company’s sustainability plan, GUESS is encouraging customers to extend the life of their clothing and shoes through this recycling program. The company will promote RESOURCED in its 295 U.S. stores across 4 brands under the GUESS?, Inc. umbrella with messaging in store-front windows, dressing rooms, e-mail marketing, social media and on shop.GUESS.com and www.GUESS.com/Resourced. Recycle bins will be placed at 8 GUESS stores in Klang Valley by March for customers and the public to recycle their unwanted clothing, and the first batch of these clothing will be sent to Raffles Kuala Lumpur for the final year students to reuse, recycle, and remake it into new fashion pieces. says Ersel Orge, Raffles Senior Fashion Lecturer. The TOP 10 ready-to-wear pieces which were given a new life by students will be showcased in June 2019. To encourage Malaysian to join in the conversation and be more aware of the environmental problems that our world is facing today, a promotion will be running across participating GUESS stores beginning April 1 – June 30 2019. Participating GUESS stores: GUESS Pavilion, KLCC, The Gardens Mall, 1Utama, Sunway Pyramid, IOI City Mall, Setia City Mall, AEON Bukit Tinggi.